I didn’t know you quilted! How fun is that? Maybe I’ll get back into it too! You can be my inspiration. I quilted for about 9 years in Germany but I lost the urge once I moved back here in 2000. 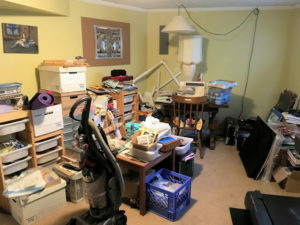 My “sewing room” was in the back corner of the basement.